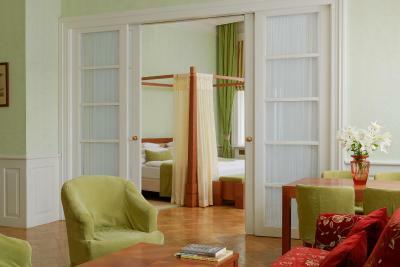 Lock in a great price for Ventana Hotel Prague – rated 9.3 by recent guests! Great room with great view!!! 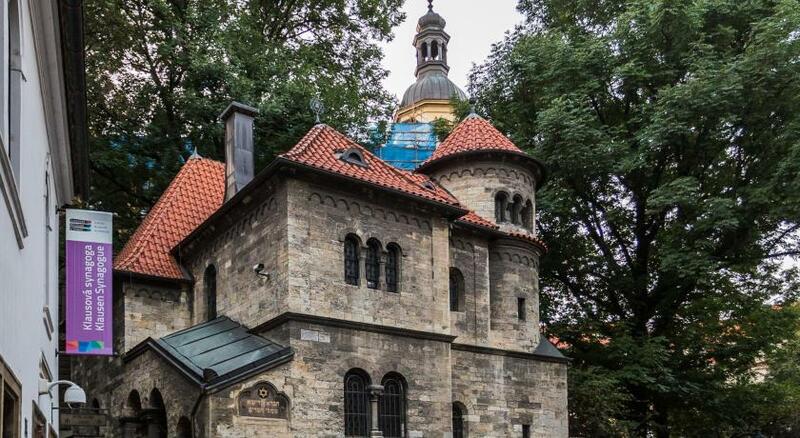 Traveled with a disabled person and accommodations were very comfortable! Room was large and roomy! 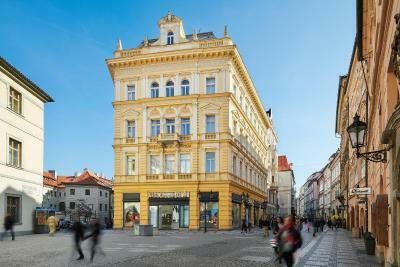 Location was perfect, right in the central square steps from the clock tower - see picture I’m posting of view from room. 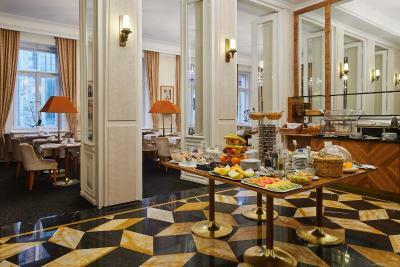 Facilities were clean, breakfast was great, staff very friendly. Barring expenses, I’d stay again. Location location and location Staff very nice ,helpful . 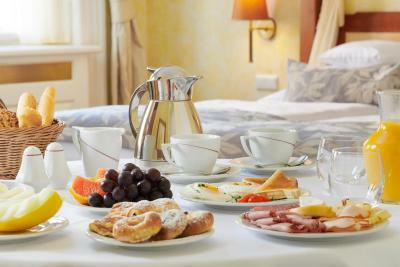 Even after breakfast time ..the lady give us coffee ..love it .. Breakfast is good and stay long . I don’t think I can give this hotel justice. 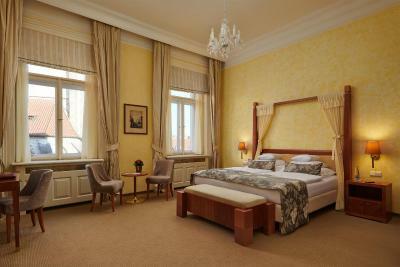 It’s a fabulous boutique hotel with the best location in Prague. 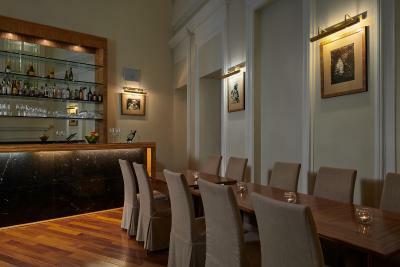 The staff are very helpful and attentive (Hamdin and Jan) . 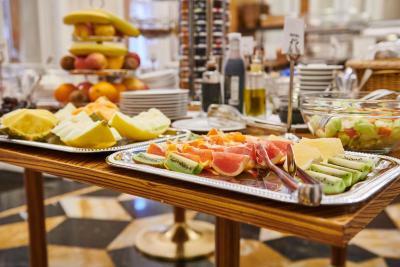 The breakfast is outstanding. 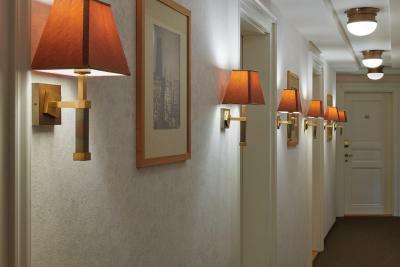 The rooms are clean and comfortable. We got the penthouse room and it was lovely. 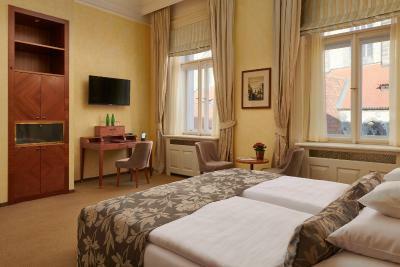 The hotel is a walking distance from all the major attractions in Prague and is 1 min away from the Astronomical Clock. 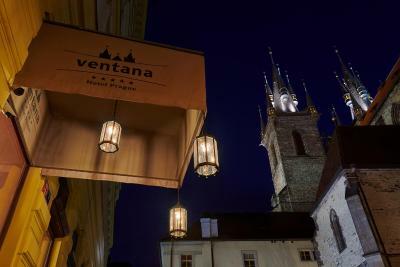 If we come back to Prague, we will stay at the Ventana! The location was perfect and the stuff were really helpful. The location was awesome. Right in the middle of everything and I was able to walk everywhere without any trouble. There were also a lot of good places to eat within steps of the hotel, so it was perfect. Excellent location with amazing views. Breakfast was good and great variety. 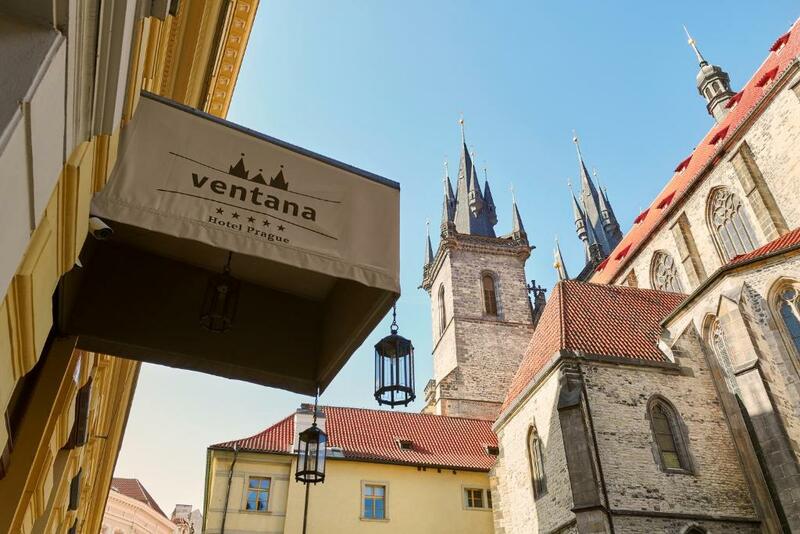 Ventana Hotel Prague This rating is a reflection of how the property compares to the industry standard when it comes to price, facilities and services available. It's based on a self-evaluation by the property. Use this rating to help choose your stay! 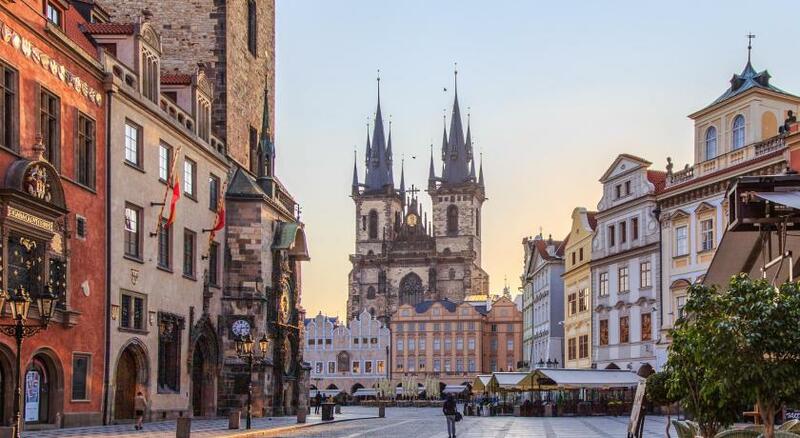 One of our top picks in Prague.The 5-star boutique hotel Ventana enjoys a superb location next to the Old Town Square with the Orloj Astronomical Clock. 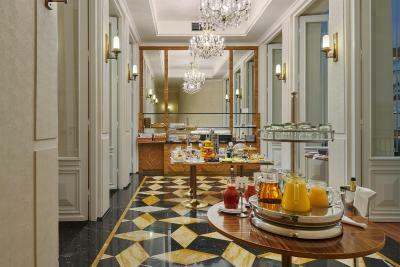 It offers a rich breakfast and free internet in all rooms. 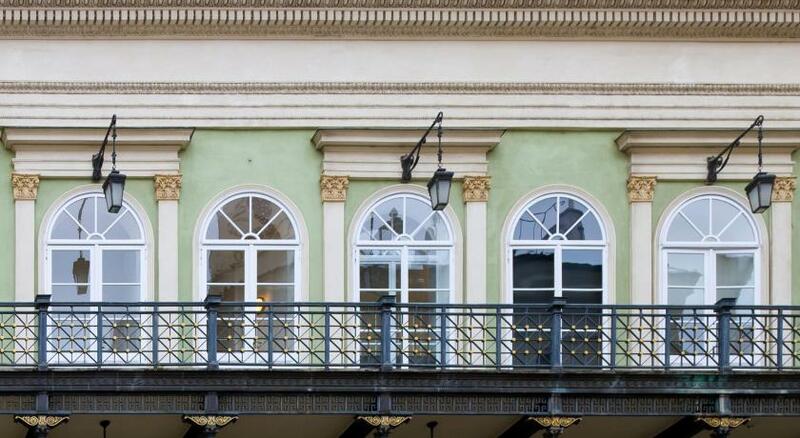 In the historic, Neo-Renaissance-style palace you can find elegantly furnished rooms with high ceilings and marble bathrooms. 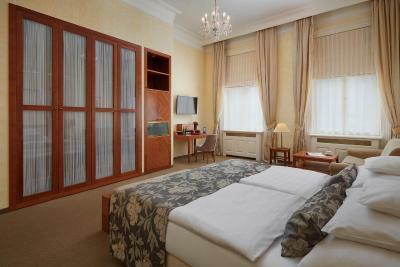 All air-conditioned rooms are also equipped with a mini-bar, a safety deposit box and satellite TV. 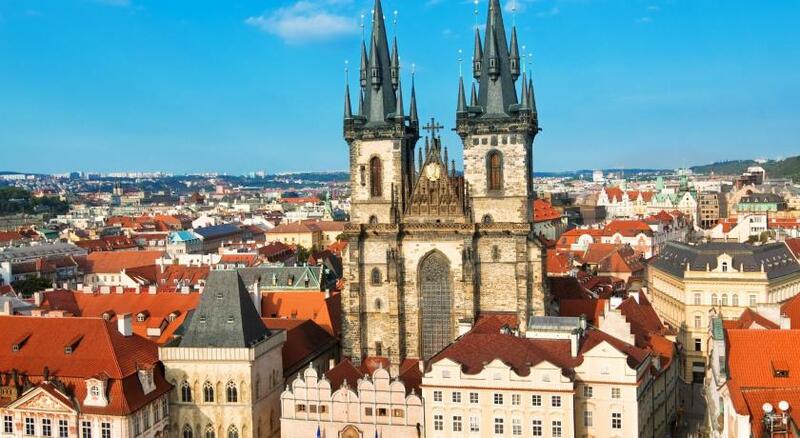 You can enjoy views of the Tyn Cathedral, the King's Road or the Old Town Square from your room in the Ventana hotel and benefit from convenient access to all of Prague's sights, including the famous medieval Charles Bridge. When would you like to stay at Ventana Hotel Prague? 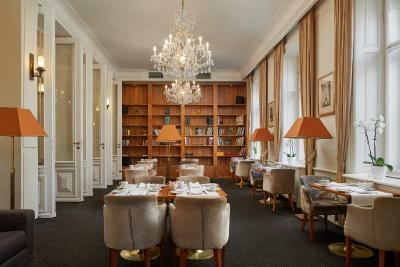 The superior double rooms are up to 280 ft² in size and come equipped with a desk and a private bathroom with a bathtub designed by Philippe Starck. 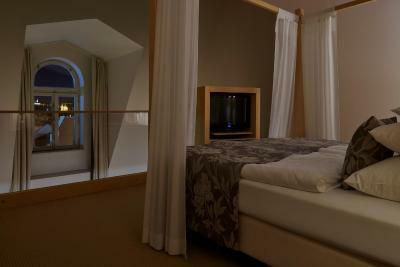 These rooms boast a view of the Týn Cathedral or the King´s Road. 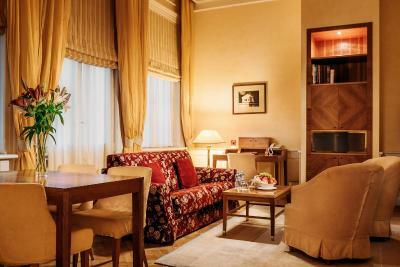 The suite features a seating area with sofa, 2 TVs, a Nespresso coffee machine, a canopy bed, a laptop-size safe, a mini-bar and exclusive Italian furniture. 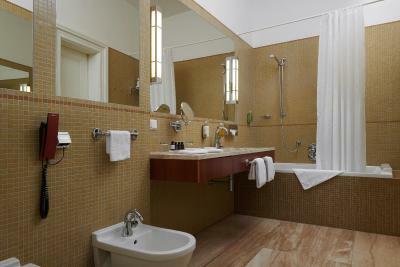 The marble bathroom comes with underfloor heating, bathrobes, slippers, luxury toiletries, a bath tub and a hairdryer. 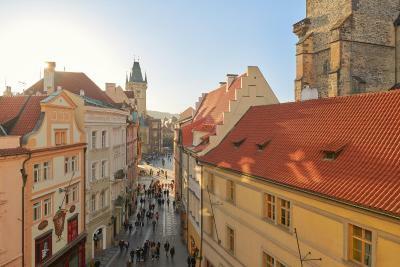 Views of the Old Town or Prague Castle are provided. 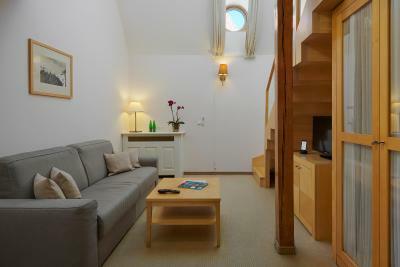 This suite features a roof window. 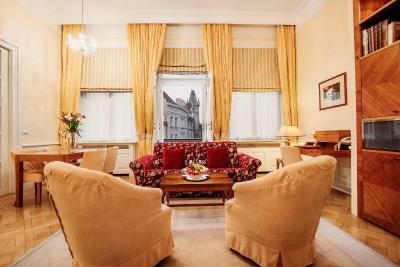 Elegant room with views of the Týn Cathedral, featuring a desk, TV, laptop-size safe, a minibar, exclusive Italian furniture and a crystal chandelier. 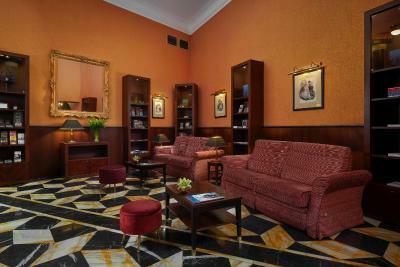 The marble bathroom has underfloor heating, a bathrobe, slippers, luxury toiletries, a hairdryer and a bathtub. 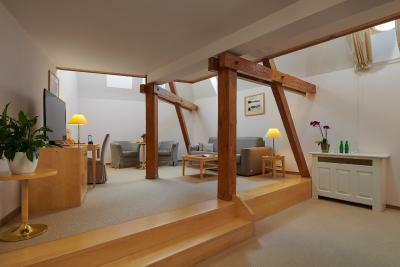 This suite offers views of the Old Town Square. 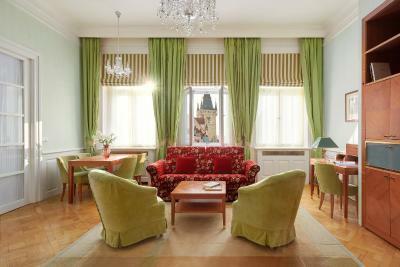 It has a desk, 2 TVs, a canopy bed, a sitting area with sofa, a dining table, original hardwood floors, a kitchenette with Nespresso coffee machine, a laptop-size safe, designer curtains, exclusive Italian furniture and crystal chandeliers. 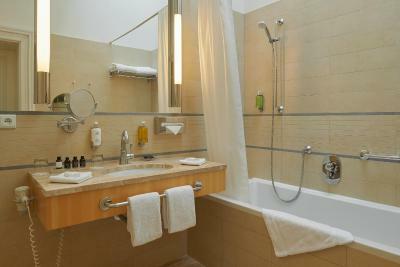 The marble bathroom has underfloor heating, bathrobes, slippers, luxury toiletries, a hairdryer and a bathtub. 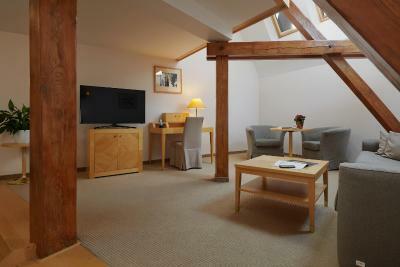 This double room features a desk, wardrobe, TV, laptop size safe, mini-bar, coffee machine, air-conditioning. 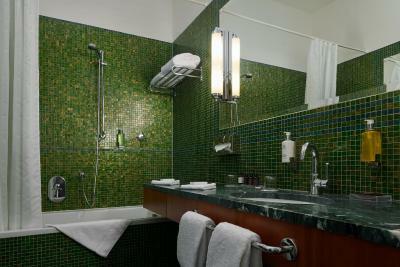 Private bathroom with a bathtub is designed by Philippe Stark. 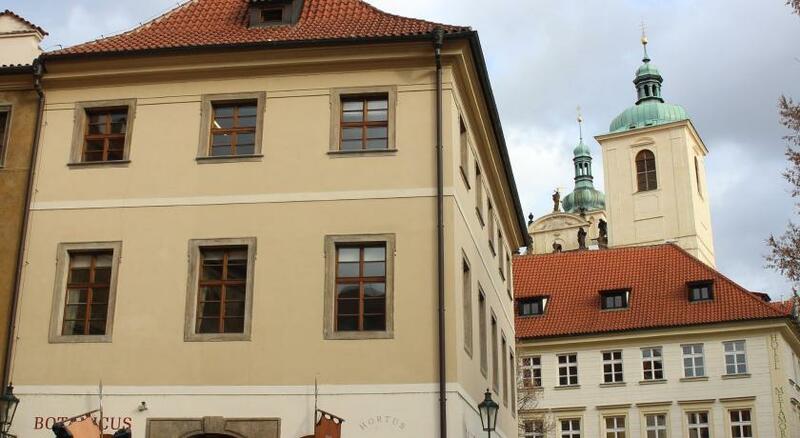 House Rules Ventana Hotel Prague takes special requests – add in the next step! 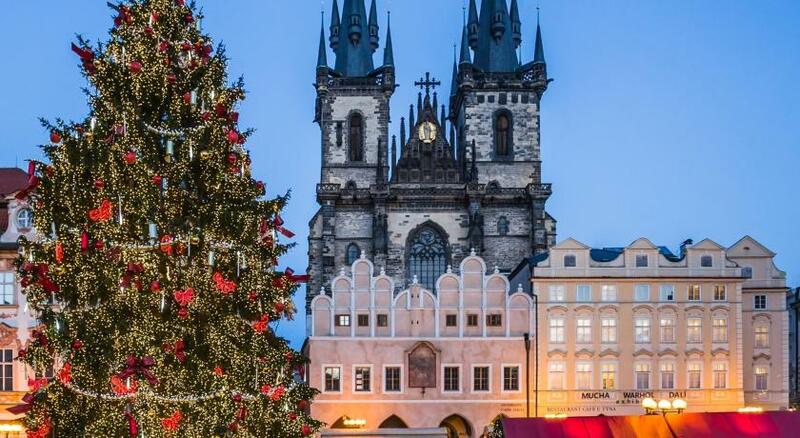 Ventana Hotel Prague accepts these cards and reserves the right to temporarily hold an amount prior to arrival. 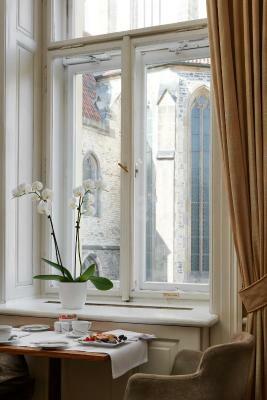 It is an old building, so some maintenance - old window panes etc. 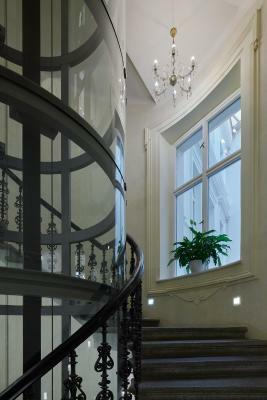 But that adds to the charm of the building anyway. 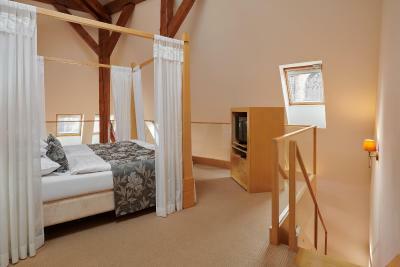 Fantastic location, big comfy rooms, great breakfast. Home away from home. Nothing. 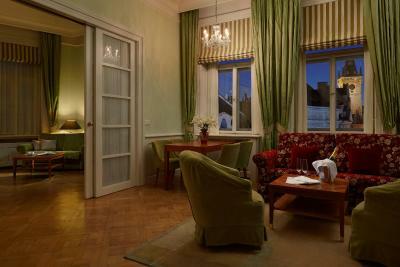 Very comfortable and the champagne at breakfast was a lovely extra with the usual fruit juices. Very helpful staff and an excellent breakfast. 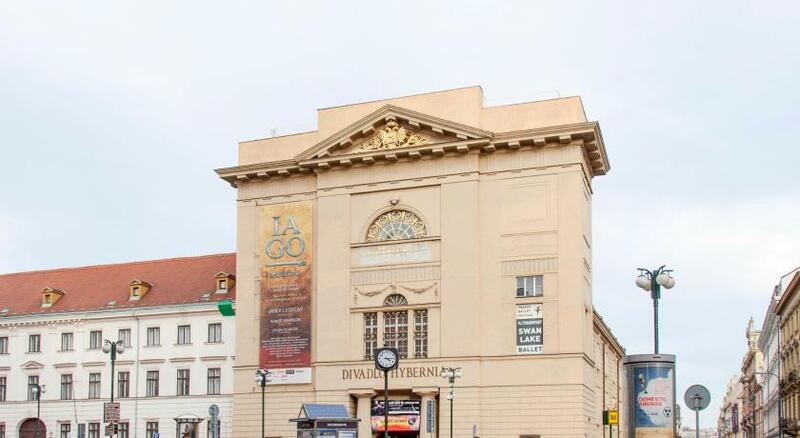 The location was right by the central square and ideal for a weekend break in Prague. They even give you a mobile phone for local use and can pick you up from the airport if you choose. 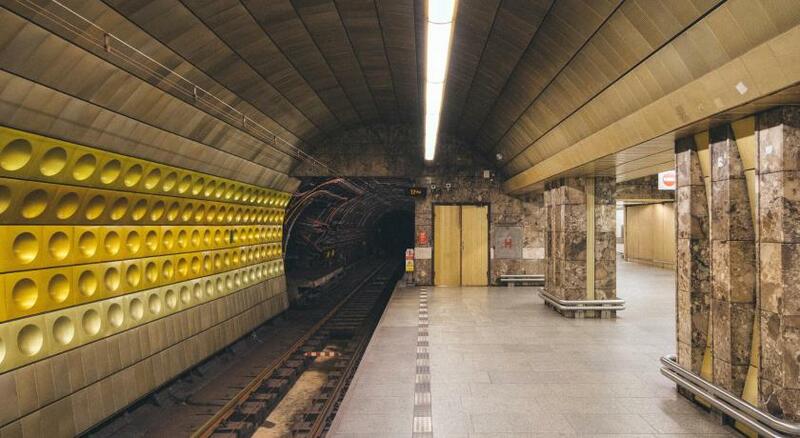 Location is amazing, and the price was low for how accessible to the city centre it is. The breakfast was lovely and even included mimosa's. 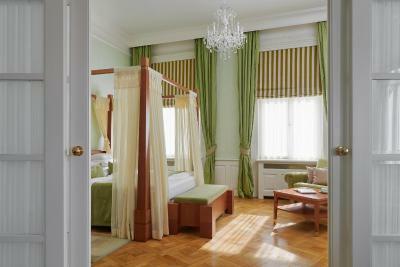 The rooms and bathrooms were large. 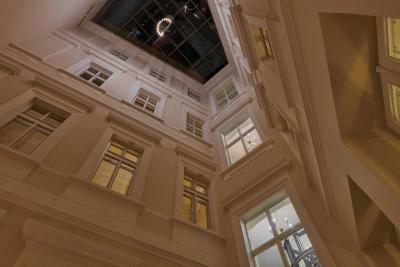 One of the best boutique hotels we have ever stayed in. From our point of view, there was not anything we did not like. 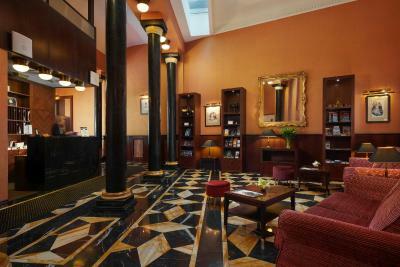 This hotel is in an excellent location for visiting all places of interest in the city. 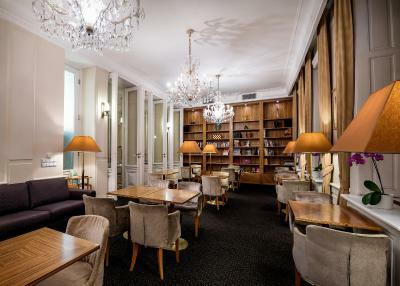 There are also many bars and restaurants very nearby. Our room was spacious and very comfortable. Spotlessly clean. The area used for breakfast and the bar area was excellent. 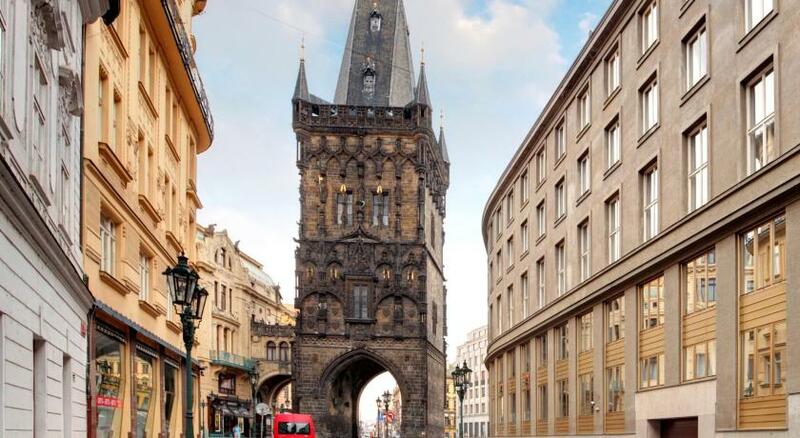 We really would recommend this hotel for visiting Prague. 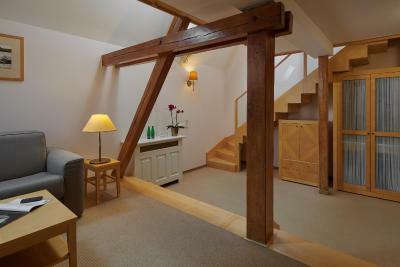 The staff were extremely helpful too and very friendly. Overall a lovely place to stay. We will return. A little hard to find in the dark as we followed sat nav which led us to what appeared to be souvenir shop but was actually the back of the hotel. Beautiful room with fantastic views. Wonderfully quiet despite central location and building works outside. Loved the extra touches such as Nespresso machine, handy smartphone, robe and toiletries. 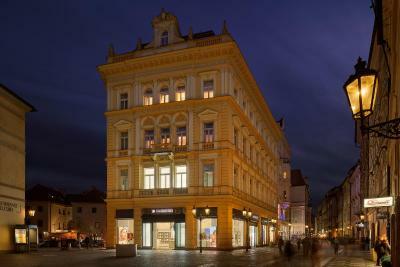 What a lovely hotel! 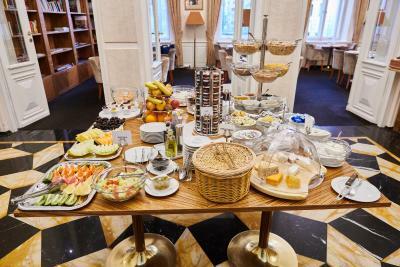 Incredibly comfortable with a wonderful breakfast and fantastic staff who are always ready to help. 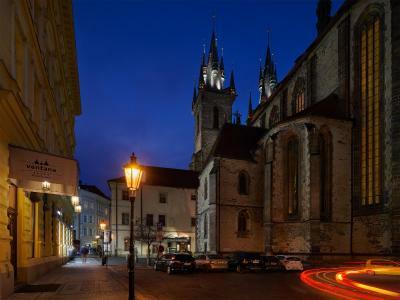 The location couldn’t be better- peaceful at night, but right at the heart of things. Highly recommended! Super minor but - there’s a lot of Algae growing in the in-room coffee machine water tank. Should be cleaned and emptied versus left full with water exposed to sunlight. Roadworks in the square outside made it noisy in the early morning. Clean & comfortable. Lovely hotel with character. 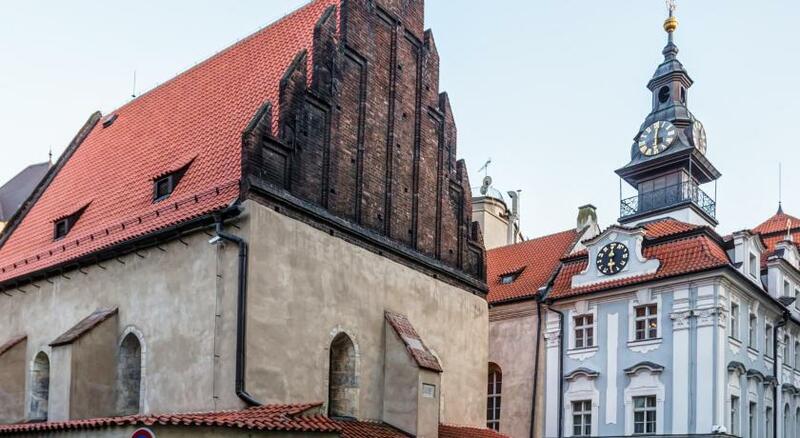 Good view of old church. Friendly & helpful staff. Excellent breakfast. 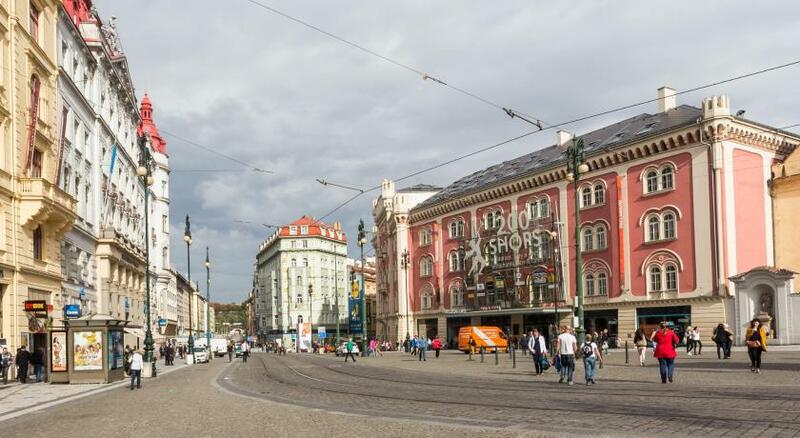 Central location to Old Town. We drove to the hotel and were delighted by the arrangement made for a driver to park our car securely after the unpacking. All the staff that we met could not have been more helpful. 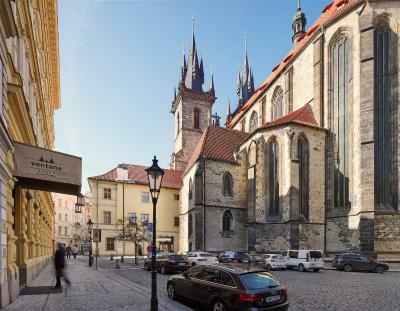 The situation of the Ventana Hotel is perfect for seeing central Prague. The breakfast doesn’t change..its the same every day ..which is pouring after couple of day . Light from windows in early morning (curtains is really good . We stay in double large bed ..but they but 2 separate bed cover ( single) ???!! !and it’s quite small .